The media and Democrats were apoplectic about President Trump’s comments after the horrific shooting attack at the Pittsburgh synagogue. For the most part, the media viewed his condolences as pitch-perfect. What upset them were Trump’s remarks about gun control. A New York Times news article referred to “the president’s assertion that gun laws had little to do with the shooting” (emphasis added). Despite all of the academic evidence showing that neither expanded background checks nor federal or state assault weapon bans actually stop mass public shootings, the Times doesn’t use the word “assertion” when Nancy Pelosi or other Democrats call for those types of gun control laws. A survey of economists and criminologists who have published peer-reviewed, empirical research on gun control indicates that most think that President Trump is on to something when he draws attention to the dangers of gun-free zones. By a 2.3-to-1 margin, these academics agree with the statement that, “Gun-free zones, areas where civilians are banned from having guns, [are] more likely to attract criminals than they are to deter them.” By an almost 6.6-to-1 margin, the researchers think that allowing people to carry a permitted concealed handgun is more likely to lower the murder rate than to increase it. Police have been even more overwhelming in their support for Trump’s claims. PoliceOne occasionally surveys its 450,000 members — 380,000 active-duty and 70,000 retired law enforcement officers — and a March 2013 questionnaire by the group found that 86 percent of members believe that casualties from mass public shootings (such as the 2012 Sandy Hook Elementary School or Aurora Batman movie theater attacks) could be reduced or “avoided altogether” if citizens are allowed to carry permitted concealed handguns in public places. 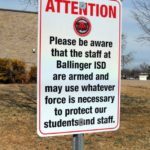 According to the survey, 77 percent of the law enforcement officers support “arming teachers and/or school administrators who volunteer to carry at their school.” No other policy to protect children and school staff garnered such widespread support. Saying someone is crazy isn’t the same thing as saying that they are stupid. These killers are often pretty smart and they know that they can kill more people if they attack places where victims can’t defend themselves. These attacks are carefully planned, at least six months in advance and sometimes over more than 2 years. There is a reason why 98 percent of mass public shootings since 1950have occurred in places where general citizens are banned from having guns. It would be great if we could identify everyone who has a mental illness that might make him or her dangerous to others. But what seem like obvious telltale signs in retrospect are not so obvious before the attack, even to mental health professionals. Monday morning quarterbacking is always easy. There is a whole academic literature devoted to the inability to identify who is truly dangerous. When reporters further pressed Trump about “what needs to be done to end this kind of violence,” Trump told them to “look at the violence all over the world.” Of course, the media would have none of this. CNN’s Michael Smerconish responded claiming that the United States is “unique” in terms of gun violence. In fact, the U.S. homicide rate is well below the world average. In addition, we have at most 2.1 percent of mass public shooting fatalities and 1.4 percent of mass shooters. Both figures are much less than the United States’ 4.6 percent share of the world population. Of the 86 countries in which we have identified mass public shootings, the United States ranks 58th per capita in rate of attacks and 62nd in rate of mass public shooting murders. Norway, Finland, Switzerland and Russia all have fatality rates that are at least 45-percent higher. The Sunday morning national talk shows continued this bias. 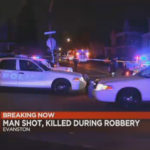 George Stephanopoulos on ABC’s “This Week” and Jake Tapper on CNN’s “State of the Union” referred to the shooting of two blacks at a Kroger grocery store in Louisville, Kentucky, but while they were attacking Trump, they both left out that a white concealed handgun permit holder stopped the attack. But Stephanopoulos left out the first part of the quote: “Don’t shoot me. I won’t shoot you. Whites don’t shoot whites.” The killer fled the scene of the attack immediately after the permit-holder shot at the killer. But acknowledging that a permit holder had just stopped an attacker would have made Trump’s argument. While they get little national attention, a dozen such mass shootings have been stopped in the last year-and-a-half. . . .